From 12 to 15 July, 2016, Dr Gan attended the 10th International Conference on Structural Integrity and Failure (SIF-2016), hosted by The University of Adelaide. 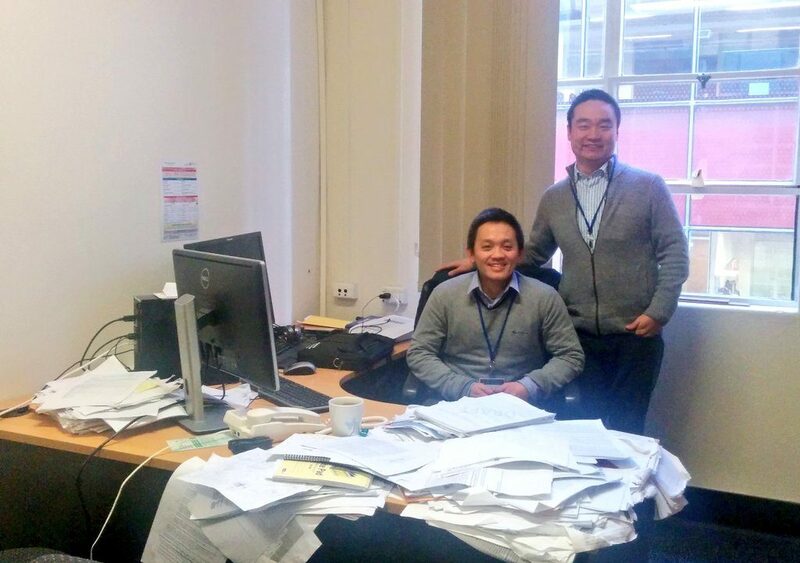 At School of Civil, Environmental and Mining Engineering, he visited his previous officemate at Sydney Uni, Dr Giang Nguyen. In the conference, Dr Gan and Dr Nguyen have been both selected as the committee members in The Australian Fracture Group for the preparation of the next SIF conference (to be held in UWA, Perth, December, 2018). 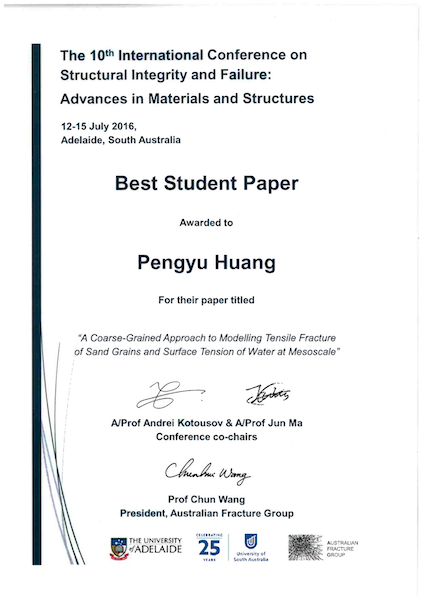 During the conference, Mr Pengyu Huang has won the best student paper award. Pengyu is a first-year PhD student supervised by A/Prof Luming Shen and Dr Yixiang Gan. The certificate is scanned below. This entry was posted in Conferences and tagged conferences, people, research. Bookmark the permalink. Post a comment or leave a trackback: Trackback URL.